QuadrigaCX became Canada’s largest digital exchange in 2015. Around the same time QuadrigaCX achieved market dominance in Canada, it stopped publishing its financial audits. Its last public financial audit was published in September of 2015. Three of its Directors (Anthony Milewski, Lovie Horner and Bill Filtness) and its Chief Financial Officer Natasha Tsai resigned around the same time. Then in June of 2017, Quadriga announced that it had lost $14 million USD worth of Ethereum due to a software glitch. According to QuadrigaCX, the cause of transaction delays is their payment processors. It has also asserted that software glitches resulted in the loss of Ether, the value of which was equivalent to approximately $14 million USD. Co-founder CEO Gerald Cotten is apparently the only executive left at QuadrigaCX. According to QuadrigaCX, the other co-founder Michael Patryn apparently left the company about two years ago, but his resignation was never officially announced. Negative remarks about QuadrigaCX revolve around corruption accusations and withdrawal request delays. On Reddit, controversy has been brewing over the true identity of QuadrigaCX co-founder Michael Patryn. Some redditors believe that Patryn is linked to convicted money launderer Omar Dhanani. A wide assortment of withdrawal options. No fees for digital currency deposits and withdrawals. Identity verification not required for transactions under $10,000. Anyone in the world can use QuadrigaCX (except US citizens). The only executive left at QuadrigaCX is co-founder Gerald Cotten. QuadrigaCX stopped publishing their financials in 2015. Complaints of lost/stolen money and unexplained charges. Large withdrawals can take several weeks to process. Digital coin support limited to Bitcoin, Litecoin and Ethereum. Margin trading is not allowed. Continue on to our detailed QuadrigaCX review to learn more about this digital exchange. Before co-founding QuadrigaCX, co-founder and CEO Gerald Cotten served as Director at The Bitcoin Co-op– an association of bitcoin enthusiasts that rose to prominence when its members collaborated on a free digital currency point-of-sale system called CoinOS. In episode 43 of the Decentral Talk Live podcast, Cotten said that his original inspiration to start QuadrigaCX stemmed from the fact that trading digital currency wasn’t easy to do in Canada in the early days of Bitcoin. Little is known about QuadrigaCX’s other co-founder, Michael Patryn. According to Patryn’s LinkedIn page, Patryn has “18 years of Fintech experience.” In the period between 1999 and 2013 Patryn he was an “Advisor” for “numerous” unspecified digital currency providers. Two years after co-founding QuadrigaCX in 2013, Patryn founded Fintech Ventures Group. QuadrigaCX has actively sought out the approval of Canadian regulators. It was the first digital exchange to register with FINTRAC and is officially recognized as a Money Services Business in Canada. In 2013, the debut of QuadrigaCX took Canada’s Bitcoin community by surprise. The exchange made history by being the first digital exchange to register with FINTRAC– the Financial Transactions and Reports Analysis Centre of Canada. FINTRAC is responsible for stopping money launderers and terrorist financiers from operating in Canada. QuadrigaCX attracted early attention in the Bitcoin community for becoming the first Bitcoin exchange ever to accept gold bullion deposits. In its early days, QuadrigaCX allowed its users to withdraw actual gold in the form of one-ounce Royal Canadian Mint gold bars. The abrupt end of Canadian digital exchange CAVIRTEX in 2015 marked a key turning point for QuadrigaCX. At the time, CAVIRTEX was the leading digital exchange in Canada. CAVIRTEX’s sudden closure caused Bitcoin enthusiasts to look for a more stable option. Many decided that QuadrigaCX fit the bill. Not long afterwards, QuadrigaCX issued a press release stating that it had cornered sixty percent of the digital currency exchange market in Canada. In March of 2015, Quadriga Fintech attempted to go public and get listed on the Canadian Securities Exchange (CSE). The plan involved the “reverse takeover” of a shell company called Whiteside Capital Corporation. In a March 2015 episode of the #BlockTalk podcast, Patryn explained that the reverse takeover was designed to eliminate the paperwork involved with getting listed the usual way, via an IPO. A month later, QuadrigaCX announced its intention to install Bitcoin ATMs across Canada. However, the attempt to go public fell through. Also, Quadriga seems to have aborted its Bitcoin ATM rollout plans. Even though Quadriga was never listed on the CSE, people were still buying shares of Quadriga Fintech “over-the-counter.” Back in his May 2015 interview with #Blocktalk, Patryn says that he had found a way to let people buy over-the-counter shares of Quadriga with Bitcoin. QuadrigaCX was banned from selling securities altogether in March of 2016 when British Columbia Securities Commision issued a cease trade order (CTO) for not submitting an audit for the “year ended October 31, 2015.” A “Management’s Discussion and Analysis” document was missing as well. The cease trade order states that Quadriga Fintech is no longer allowed to sell Quadriga securities. As of March 2018, the CTO is still in effect. According to SEDAR, the last “Certification of Interim Filings” was submitted in September of 2015. The reason why QuadrigaCX stopped publishing audits and gave up on going public is unclear. About a week before getting hit with the CTO in 2016, Directors Anthony Milewski and Lovie Horner resigned. Then after the CTO came out, Director Bill Filtness and Chief Financial Officer Natasha Tsai followed suit. In June of 2017, QuadrigaCX announced that it had lost 67,317.25 ETH, which amounted to an estimated $14 million USD at the time. QuadrigaCX has only one executive: co-founder Gerald Cotten. All three Directors and the Chief Financial Officer have resigned. There are official press releases for every resigned member of QuadrigaCX except Patryn. On Reddit, QuadrigaCX described Co-founder Michael Patryn as “an early who left the company more than two years ago.” Some believe Patryn is connected to a convicted money launderer named Omar Dhanani. In 2009, Patryn opened up a Canadian business with Nazmin Dhanani — the same name that appears under “relatives” on the listing for Omar Dhanani of Fountain Valley on the US public records service Intelius. In 2004, a US Department of Justice press release indicates that an “Omar Dhanani of Fountain Valley, CA” was arrested for setting up money laundering services for the organized internet crime syndicate called ShadowCrew. Those who claim that Michael Patryn is Omar Dhanani also point to the fact that in 2008, someone named Omar Patryn started a Canadian company named Midas Gold. Midas Gold was later shut down by the US Global Illicit Financial Team. QuadrigaCX has distanced itself from Patryn. The official QuadrigaCX reddit account has described Patryn an “early” who left the company several years ago. Patryn represented QuadrigaCX as a co-founder in March and August of 2015 on the #BlockTalk podcast. Bitcoin Magazine described Patryn as a QuadrigaCX co-founder in March of 2015. According to Bitcoin Magazine, QuadrigaCX got funding from four sources in the run up to their attempt to go public: Haywood Securities, Jordan Capital Markets, PI Financial and Wolverton Securities. As mentioned above, QuadrigaCX made headlines when it became first digital exchange to register for FINTRAC. However, QuadrigaCX’s CEO has expressed a negative attitude regarding regulation. In episode 43 of the Decentral Talk Live podcast, Cotten stated that QuadrigaCX’s FINTRAC registration allowed it to establish relationships with fiat banks and payment processors. Cotten also explained that FINTRAC allows anonymous transactions, as long as the amount involved doesn’t exceed $10,000. In Cotten’s opinion, this essentially means that the digital currency market in Canada is actually not regulated at all. QuadrigaCX is regulated as a “money services business,” not as a bank. Because of this, Quadriga cannot legally accept deposits. On Reddit, QuadrigaCX explained how the Quadriga bucks system allows QuadrigaCX avoid Canadian banking regulations. QuadrigaCX does not support most altcoins, only Ether, Bitcoin and Litecoin. QuadrigaCX hasn’t provided much information about its security system. One QuadrigaCX knowledge base article states that QuadrigaCX’s security system has been “developed by some of the foremost leaders in the cryptocurrency community.” However, it does not list any specific names. Other security-related knowledge base articles describe how to use Google 2FA (two-factor authentication) and e-mail 2FA to protect your account. QuadrigaCX’s customer support system consists of a knowledge base and a ticketing system. It also responds to questions and concerns via Reddit. QuadrigaCX has mostly negative reviews around the web. There are many complaints about long wait times and poor customer service. Some have accused QuadrigaCX of corruption. The QuadrigaCX Reddit account recently responded to concerns over the fact that the exchange doesn’t have a physical office. QuadrigaCX is headquartered at 346 Steeles Ave W, Thornhill, ON L4J 6W9, Canada. QuadrigaCX used to post its financials to SEDAR, but it doesn’t anymore. The last public financial document from QuadrigaCX was submitted in September of 2015. There’s no information available about how QuadrigaCX has been managing its money for the past several years. Chief Financial Officer Natasha Tsai resigned in March of 2016. Since then, QuadrigaCX has been operating without a CFO. QuadrigaCX serves citizens of every country in the world except the United States. In an episode of #Blocktalk, co-founder Michael Patryn elaborated on the reason why QuadrigaCX won’t accept US identification documents. Traders on QuadrigaCX do not have to identify themselves. However, there are caps on how much anonymous trading is allowed. Users who go through the verification process gain “maximum Interac Online limits” and expanded EFT funding capabilities. The verification process takes about 72 hours, but sometimes longer during periods when many people try to register at once. 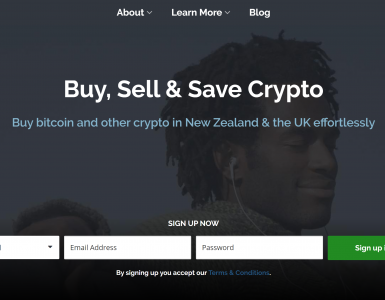 When the price of Bitcoin skyrocketed in 2017, QuadrigaCX users often had to wait longer. In order to help speed up the ID verification process, QuadrigaCX partnered with the Canada Post to debut a new feature called “Instant in-person verification.” This new feature lets QuadrigaCX users obtain verification by showing their ID documents at Canada Post retail outlets. Users can now display their QuadrigaCX profile together with their identification documents and proof of residence to obtain instant verification. QuadrigaCX released the news of the Canada Post partnership on Reddit in March of 2018. Currencies QuadrigaCX supports include Bitcoin, Ether, Litecoin. In the past, QuadrigaCX allowed its users to deposit and withdraw gold bullion. However, the exchange currently only supports US and Canadian dollars. There are currently nine different options for buying and selling fiat and digital currency: XBT/CAD, XBT/USD, ETH/CAD, ETH/XBT, LTC/CAD, LTC/XBT, BCH/CAD, BCH/XBT and BTG/XBT. In addition, QuadrigaCX supports Crypto Capital, a private fiat banking platform that allows traders to fund their accounts through Coinapult, BitFinex, CEX.io, EXMO and Chip-Chap. QuadrigaCX does not allow trading on margin. The only type of transaction available is limit order. QuadrigaCX’s trading platform is basic, but easy to use. In addition to the usual withdraw and deposit options, QuadrigaCX also has a funds transfer system called the QCX voucher method. If you withdraw funds using the QCX voucher process, QuadrigaCX issues a unique code which you or someone else can then use to fund a different QuadrigaCX account. You can also use QCX vouchers to re-fund your own account. You can also deposit Bitcoin and other digital currencies using QR codes. Once your account is funded, you can buy fiat or digital currencies. The only transaction types available are limit order and market order. A QuadrigaCX knowledge base article states that it doesn’t have any apps. All QuadrigaCX features are available in the mobile version of the website, though. QuadrigaCX offers five options for adding or withdrawing CAD: Flexepin Voucher, Interac Online, bank wire, Crypto Capital and QCX Voucher. In addition, QuadrigaCX users can also add and withdraw USD funds via bank wire, Crypto Capital or with a QCX Voucher. Deposit and withdrawal fees range from zero to 2.5%, depending on which option you choose. There are no fees for digital currency withdrawals or deposits. Fees are applied after the trade is executed. 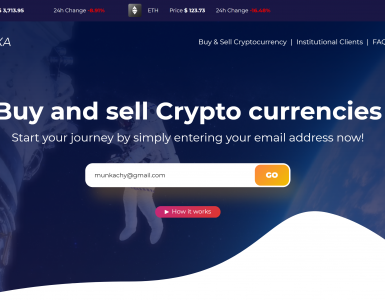 Both experienced traders and complete beginners may want to steer clear of QuadrigaCX until it solves its ongoing customer support problems and clears up lingering questions surrounding its leadership. The fact that QuadrigaCX is one of the few digital exchanges that supports Canadian dollars had made it popular in Canada. 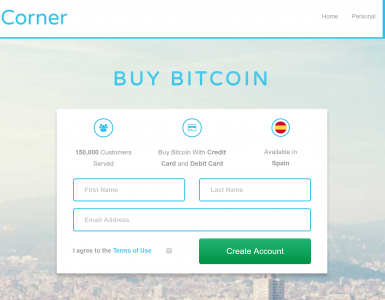 Overall, the interface is easy to use and the variety of funding and withdrawal options add convenience. However, QuadrigaCX’s interface is somewhat cluttered and some of its drop down menus are not intuitive. QuadrigaCX’s high fees are not attractive to high volume traders and the fact that QuadrigaCX does not currently offer advanced order types or support for altcoins is a significant downside.